Special Collections & Archives blog | News and views from the Special Collections & Archives team at the University of Kent. Holinshed’s Chronicles is arguably one of the most important history books to have emerged from the Elizabethan era. Made up of two volumes, Holinshed’s twin books offer a fascinating insight into both early modern history and sixteenth-century printing; they also provide an understanding of how the people of the Tudor period viewed their own national past. 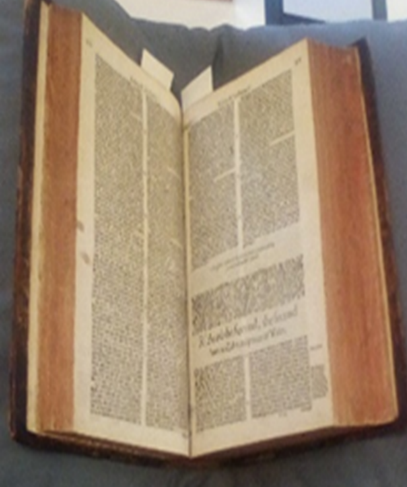 The Chronicles were printed many times, and the Templeman Library’s Special Collections and Archives currently holds a copy of the 1587 edition of the second volume—it is this version that that will be discussed here. Perhaps the most surprising fact about the Chronicles is that Holinshed was not the man who dreamt them up. Though he would later give his name to the work, Raphael Holinshed was really a secretary hired to help the project’s originator—Reyner Wolfe, a Dutchman who arrived in London in 1533. Wolfe appears to have been an extremely ambitious man, as he originally planned for the Chronicles to cover the histories of ‘every knowne nation’, a desire which would prove to be far more difficult than he had perhaps imagined. It would seem that Wolfe was naïve to the state of printing in sixteenth-century England, and his printers were quick to point out the impossibility of his plan. Even with Holinshed on board to help with the workload, Wolfe was forced to accept that the book would need a very serious scaling back to be feasible. Ultimately, the decision was made to focus the Chronicles on Great Britain alone, telling the histories of ancient England, Scotland and Ireland in the first volume and England’s royal lineage in the second. This, it would seem, was felt to be a far more manageable task than a complete international history. Surprisingly, Holinshed was very nearly not involved in the Chronicles in the first place. Originally, he had his career trajectory aimed towards the Church, rather than history writing; his biographer, Cyndia Susan Clegg, said that he was involved in the English Protestant movement until the accession of Mary I in 1553. With England’s religious situation changing rapidly, he took up work with Wolfe and, when the Dutchman passed away with the Chronicles still incomplete, he took over as project manager. What this shows is the complicated nature of the book’s production—the originator died before its completion and left it to a man who was not a trained historian. Certainly, the Chronicles was not born out of easy circumstances. 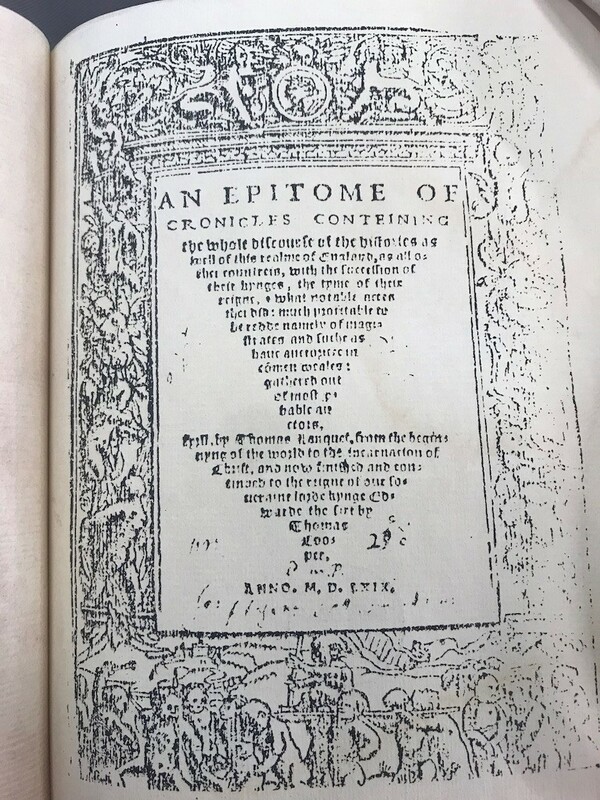 Nevertheless, the Chronicles remains a fascinating example of sixteenth-century literature; the Templeman’s edition is not only academically striking, however, but is also physically captivating. It’s covers are rebacked calf-over-boards and, though worn by age, it is obvious that the covers once had gilded edges. Whilst showing signs of exhaustion, these covers do show the wealth of the person who purchased the text, since books in this period were not distributed with their own covers. After all, such a book was deliberately designed for an audience that was both literate and educated, and therefore likely to be wealthy too. The spine for the Templeman’s copy of the Chronicles—though not original, it is undoubtedly fitting for such an impressive text. 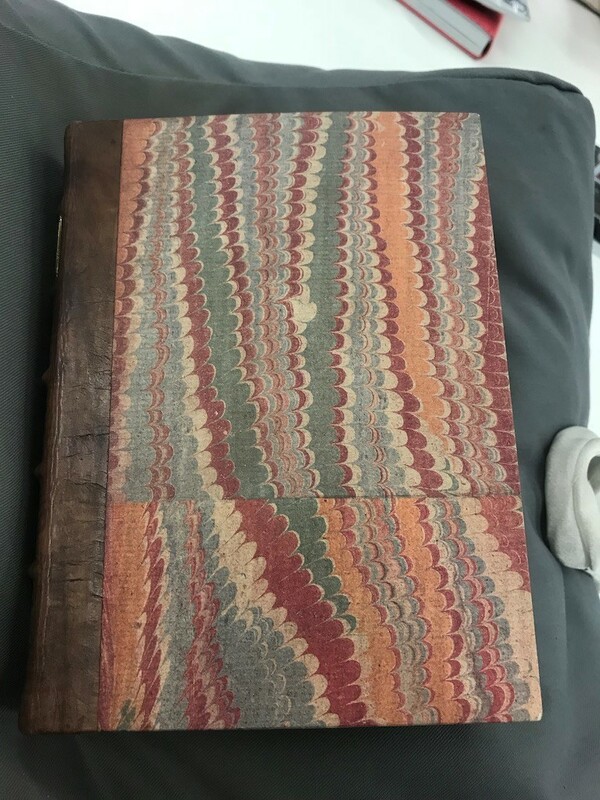 It is, however, this volume’s patchwork nature that makes it uniquely attractive; the Templeman’s volume is a mixture of sixteenth-century craftsmanship and various repair jobs of wavering quality. For instance, the book’s spine has been very well restored, giving the text a sturdy support whilst also demonstrating the sort of gilding that is now missing from the covers. Inside the book is a different matter entirely; the first page of the Chronicles’ main body, which covers William the Conqueror, is both badly damaged and poorly repaired. The paper appears to have been torn at one point and crudely stuck back together—the technique employed, however, indicates that it was conducted towards the end of the nineteenth century; whilst this book may have needed repairing upon purchase, it does suggest the possibility that it was used a great deal throughout its lifetime. On the spine, the title and volume number are written in gold lettering, something which reflects the gilding of the covers. Aside from the damage and patch-up attempts, the book still maintains much of the Chronicles’ original features; among others, it demonstrates a variety of charming details that can be found in early modern printed texts. Being a book of considerable size and covering every monarch from 1066 through to the late sixteenth-century, its printers were likely aware that ease of navigation was important. Each left page has ‘An. Dom’ in the top right corner, followed by a date—since each chapter covers a different English monarch, this allowed an early modern reader to find a specific year within a king or queen’s reign without difficulty. Another interesting reader aid comes in the margin, as each paragraph has a small summation to its side that briefly describes its contents. Such a tool would be useful for anyone who used the book for research purposes; many writers used the Chronicles in such a manner, and perhaps the most famous of the text’s users was William Shakespeare. Allardyce and Jacqueline Nicholl, in their book Holinshed’s Chronicles as Used in Shakespeare’s Plays, notes that he was known for using Holinshed’s book to inspire many of his most beloved plays, including Richard III and King Lear. This image shows the inside of the book—specifically, the start of the section about Richard II. Though the book is centuries old, the print is surprisingly legible. The Chronicles’ function as a history book is relatively straightforward; it details the lives of each English monarch in a linear fashion, with little deviation from such a structure. 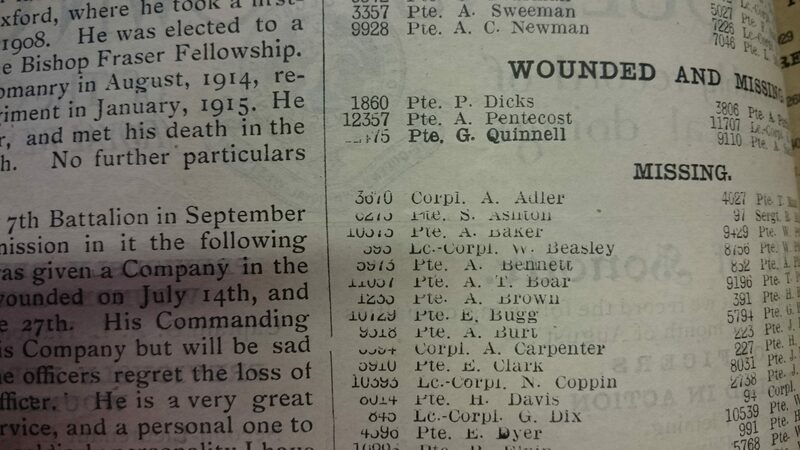 Curiously, however, the authors appear to have taken the chronology aspect very literally. For example, the chapter on Richard II does not end with the king’s death in 1400, but rather with his deposition the previous year. At the very end, there is an authorial note which declares that, ‘Thus farre Richard of Burdeaux, whole deprivation you have heard; of his lamentable death here—after, to wit, pag. 516, 517’. The death of Richard II is only acknowledged during the section on his successor, Henry IV; whilst one would expect the deposed king’s death to be acknowledged at the end of his own section, it would seem the authors here preferred the history to be uninterrupted by time jumps. Though this does make certain chapters somewhat strange—after all, one would expect it to end with the monarch’s passing—the pathway of logical is sound and adds more to the Chronicles’ identity. There is no doubt that Holinshed’s Chronicles is an utterly fascinating book. Not only is it contextually and academically marvellous, but its numerous printing quirks and occasional damage makes it a captivating physical object as well. Filled with all manner of oddities and unusual details, it is a treasure-trove of curiosities for any budding bibliophile. Allardyce Nicholl and Josephine Nicoll, Holinshed’s Chronicle As Used in Shakespeare’s Plays (J.M. Dent & Sons Ltd.: London, 1927), p.vii. ‘Musing and marveling on the miserie that doth on earth from day to day increase’. 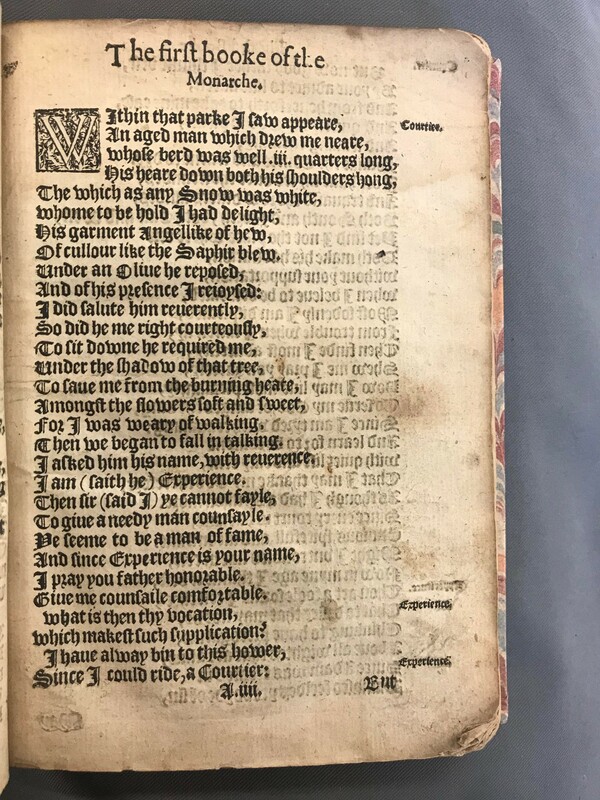 This is a serious and lengthy didactic poem titled; A Dialogue between Experience and a Courtier, of the miserable state of the worlde (1581) by the Scottish herald and court poet, Sir David Lindsay of the Mount (1490-1555). Most commonly known as The Monarche, Lindsay’s Dialogue between Experience and a Courtier has been regarded by many historians, as his ‘magnus opus’. This is because he writes a world history in 6338 lines, beginning with Adam and Eve and concluding with the Last Judgement. He uses the classical literature technique of dialogue between the two characters called Courtier who is ‘tyred with travailing’ and ‘an aged man’ who is Experience, together with a narrative history of the world to answer questions presented by the Courtier about the fulfilment of life and salvation. Lindsay’s Monarche reflects the knowledge that he would have had as herald about the religious and political issues in Scotland during the time. In ‘The first booke of the Monarche’, Lindsay introduces the Courtier and Experience. The Courtier asks where he can live a ‘quiet life’ away from his unpleasant life at court. Experience replies that the life he wants does not exist as the misery in this world developed from sin, he recounts the story of Adam and Eve to support his case. ‘The second booke of the Monarche’ is formed of Lindsay’s attack on idolatry of saints images, pilgrimages and finishing with a call for reform to the Church. The third ‘booke’ condemns the Church for profiting from the creation of Purgatory and temporal lands, the clergy for living wealthily and unable to fulfil their roles of office, and Rome having control over secular rulers. In the last book, Lindsay discusses ‘Death and the Antechrist, and of the generall judgment’ with the Courtier asking Experience when the day will be. Experience dates the year ‘Two thousand till the worldes ende’ but before then, fifteen signs will appear as warning. Lindsay uses the Apocalypse as the reason for the early modern world being dismal but also as another plea for reform and repentance. By raising these problems within the context of the Biblical history of the world, the push for reform is presented as an integral part of God’s scheme and the urgency to be ready for Jesus’ coming. 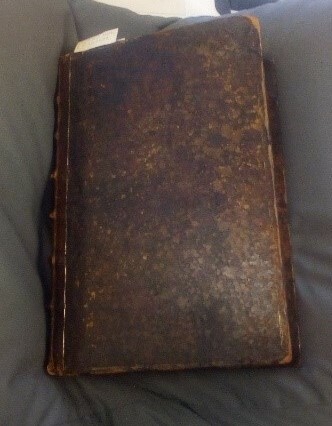 Quarter leather binding, impressed with gold. This particular book was originally ‘Compiled in the Scottish tung’ by David Lindsay in 1554, then ‘first turned and made perfect English : And now the seconde time corrected and amended according to the first Copie’ in 1581. The 1580s in Elizabethan England was briefly threatened by radical puritanism in response to a Catholic resurgence. Therefore, this timely publication (1581) could imply that there needed to be a revival of Protestant literature to communicate the original causes for condemning the Catholic Church and maintaining reform. The date also implies that the popularity of Lindsay’s book had spread to England for it to be translated out of Scots into the English vernacular, many of his previous works had already been published in England before. This also coincides with Lindsay’s opinion on vernacular which is seen in ‘The first booke of the Monarche’ where he criticises the Roman Church for not speaking in vulgar tongue during Mass as it would allow people to understand and learn what is being said. To support his argument, he uses the example of God giving the Ten Commandments to Moses not in Latin or Greek but in the ‘language of the Hebrew’ so that every man, woman and child would know the law. Lindsay is upholding his argument and deliberately writing in Scots so that his Scottish audience can clearly learn from his writing, it is easily accessible. 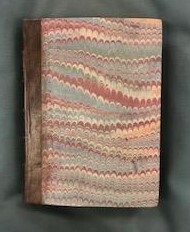 Front cover of book recovered in marble paper. The measurements of the book are 191(l)x138(w)x127(d)mm which indicates that it would have been an easily portable book. 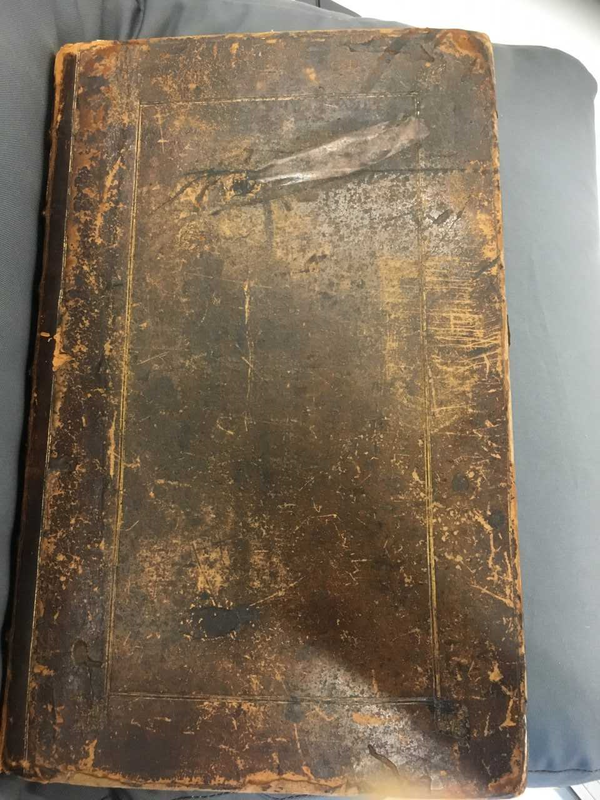 In the Templeman Library’s copy, the cover is recovered in marble paper which dates to around the late eighteenth and nineteenth century and would have been a cheap covering. The original binding of the book from 1581 has been replaced by a quarter leather binding, impressed with a simple gold design and lettering. 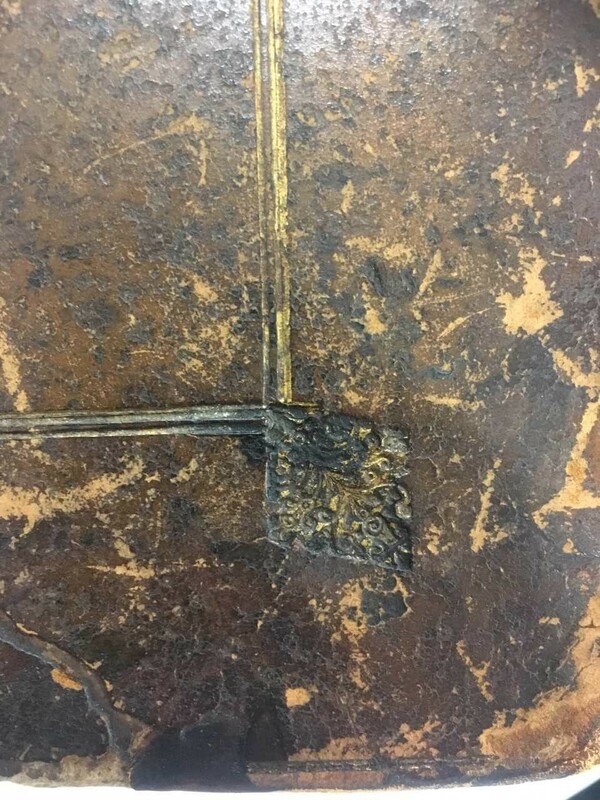 This could indicate that The Monarche was a sought after book and in need of repair or possibly the owner wanted a uniform look for their bindings when displayed on a bookshelf. Furthermore, it is clear to see that the book has been amended as the pastedown and flyleaf are at the front and back of the book are on different paper which is intact and only slightly discoloured, indicating that it is newer addition to the original text. The most fragile pages of the book have been stuck down onto a new sheet of paper. The book lacks any decorative element to it as there are no woodcuts or ornate patterns, only a decorative border around the first letter of each book, known as factotums. This might suggest that the book was made to be produced quickly and cheaply. A factotum of the letter W.
The title page, which has been reprinted on new paper and inserted into this 1581 published book, helpfully declares that the book is ‘very pleasant and profitable for all Estates, but chiefly for Gentlemen, and such as are in aucthoritie’. This is further supported by Lindsay explicitly showing in his fourth book, where he writes small segments for the people in authority, ‘to the Prelates’ and ‘brethren Princes’, that they may read his words and take guidance from them. This section is what the English publisher possibly had in mind when writing the title page. However, a more subtle indication that this book is aimed at a wider audience, is that not only is it written in the vernacular so that all can read but Lindsay deliberately incorporates a written world history and the Christian teachings surrounding death and the Last Judgement so that more common people could access them whilst the vernacular Bible was circulating. In Scotland, the Earl of Arran had legalised the English Bible in 1543 which enabled all men to read the bible in English or Scots but it was not printed in Scotland at all until 1579 and so the imported bibles came from England. ‘David Hall 1724 Eius Liber’ penned on the edge of the page. Significantly, on the back of page 13 (13b), there is the inscription that reads; ‘David Hall 1724 Eius Liber’ which is Latin for ‘his book’. Was this the David Hall (1683-1756) who was a ‘schoolmaster and Quaker minister’ from Skipton in Craven, Yorkshire? 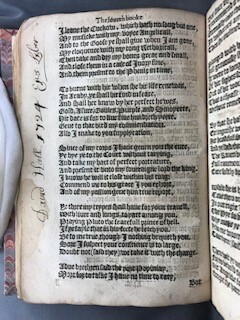 There is no other significant marginalia within the book but on a couple of pages near the back, especially noticeable on the separate poem published within the Monarche; ‘The complaynt and publique confession of the Kings olde Hounde called Bagshe, directed to Bawty the Kings best beloved Dog, and his companions’ on page 119 in the ‘The fourth booke’, and also page 64, there are pen trials. 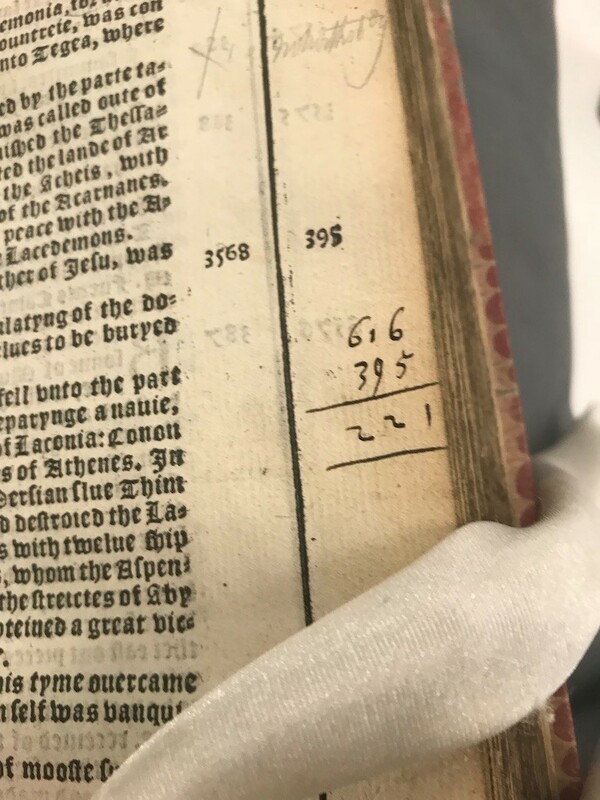 This indicates that the reader was possibly making notes on a separate page whilst reading this book or the markings could be the reader’s own symbols to draw attention to important parts of the text. This shows that Lindsay’s poem was fulfilling its function of teaching his audience, may it be his intended or unintended audience. Collinson, Patrick., ed. Guy, John. 1995. ‘Ecclesiastical vitriol: religious satire in the 1590s and the invention of puritanism’ in The reign of Elizabeth I: Court and culture in the last decade’, (Cambridge: Cambridge University Press). Edington, Carol. 1994. Court and Culture in Renaissance Scotland: Sir David Lindsay of the Mount, (USA: University of Massachusetts Press). Harland, Richard. ‘Hall, David (1683-1756), schoolmaster and Quaker minister’ in Oxford Dictionary of National Biography https://doi.org/10.1093/ref:odnb/68171 [accessed 26/10/2018]. McGinley, J,. K. ‘Lyndsay [Lindsay], David (c. 1486-155), writer and herald’ in Oxford Dictionary of National Biography https://doi-org.chain.kent.ac.uk/10.1093/ref:odnb/16691 [accessed 22/10/2018]. Pearson, David. 2011. Books as History: The importance of books beyond their texts (London: The British Library). Wormald, Jenny. 1981. Court, Kirk, and Community: Scotland 1470-1625, (London: Edward Arnold Ltd). Little is actually known about Thomas Lanquet’s life, except that he began writing his Epitome of Chronicles, but he died before it was finished. The Chronicles werefinished by Thomas Cooper and published in 1549, with the book later being known as the Coopers Chronicle. Lanquet died in 1545 after writing about the accession of Tiberius, with the rest of the book being written by Cooper. Despite the fact that very little is known about Lanquet himself, it is known that he was a historian and a humanist, which would suggest that he would have styled his work to mimic Classical literature, something seen as contemporarily popular. Another interesting feature that is unique to this copy of Epitome of Chronicles is the fact it has been annotated. 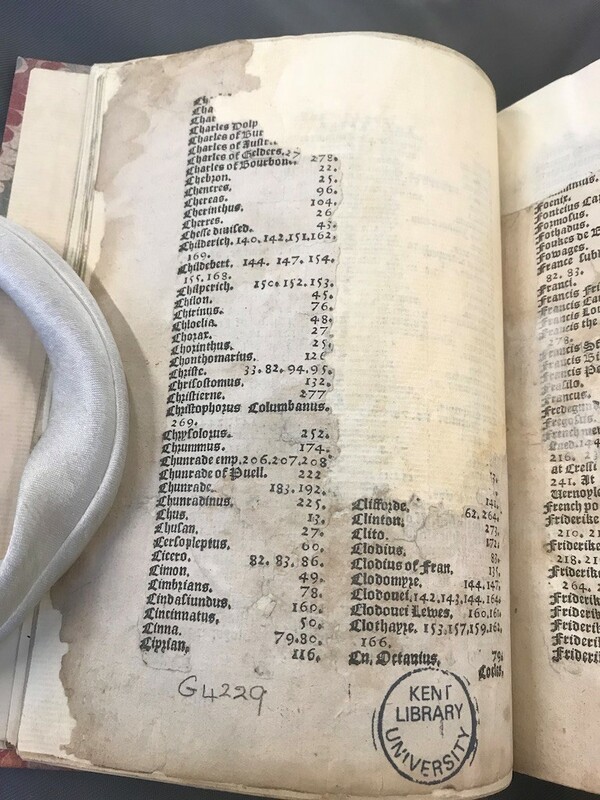 This is indicative that a previous owner of the book did not feel that it was important enough to remain unmarked, with one page containing a sum, which appears to be to do with the chronology of the history. 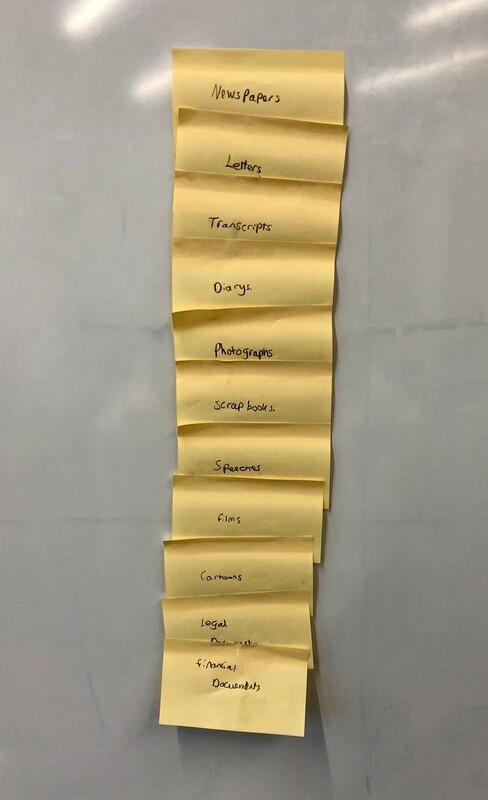 This highlights the use and engagement with the book, as they were able to read well enough that they felt that they were able to annotate certain sections and to add their own thoughts. This suggests that the book was owned by a literate person who was able to write down what they thought of particular passages, giving an insight in to their responses from when they read the book. The work of Lanquet, and subsequently Cooper was to educate readers on the history of England as they saw it, with references to what was happening in the wider world. This would include who was ruling in other countries and if there were any plagues within countries, such as a pestilence in 491 B.C. in Rome. It is accepted within the writing that the Bible and Arthurian legend are history, and this is used to emphasise the chronology he was writing. Cooper, however, changes Arthurian legends to suit the history he wanted to tell, removing magic from his chronicles and replacing it with the power of the ‘common voice of the people’. Magic being removed when writing the histories would have been not only to make them a realistic part of history, but also because Cooper, who finished the chronicle, was a bishop, and the use of magic would not have fallen in line with his religious views. The histories therefore would have been adapted to suit the narrative that the authors would have believed in, as well as any political leanings that they may have had, which is shown with how the book is dedicated to Prince Edward and the Duke of Somerset. This highlights how Cooper would have been attempting to praise the prince, while affirming Protestant beliefs, with Cooper stating in the preface, ‘the holy scriptures […] teaches us politicall administracion, and let forth many notable examples, which in rulying a publike weal be necessary to bee knowen, and whereby the myndes of princis may bee stiered to the study of true nobilitee and vertue’. This explains why not only the biblical history is accepted as fact and dated within the chronicle, but also why it is so supportive towards the Tudors and how they are favoured by God. The fact that the book is also written in English, in a Gothic font, further highlights the break from Rome, as Lanquet and Cooper did not write in Latin, with English books being more common following the Reformation. The preface not only gives an idea of the setting in which the book was written in, but also the type of person it was written for. As ‘the readyng of histories doth indifferently avayle all men’ and ‘Princis, yea and all other, that have auctoritee in great affaires and high matters, ought those examples and actes chiefly to consider’ suggest that Lanquet and Cooper believed that the main audience of their book would be those in a position of political power, and that history would be useful in knowing where previous leaders have failed and how they have succeeded. The Templeman Library’s Special Collections & Archives Department holds a rare 1587 edition of Holinshed’s Chronicles; a book that collates the works of some of the most influential pre-seventeenth-century writers of early English, Scottish and Irish history in a single place. Printed in gothic English font, the book’s characteristics imply a lot about its intended use as an object, which will be explored in this blog. This blog will also demonstrate that the book was the product of a growing late sixteenth-century belief that Scotland and England were becoming a shared space and that Holinshed believed it was important for the national histories of both nations to be understood within a single book. 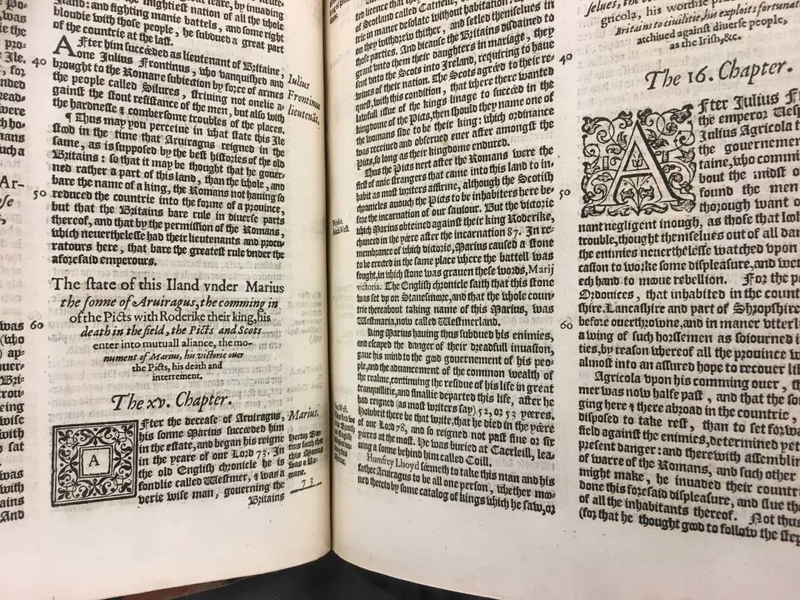 Holinshed’s Chronicles were collated by Raphael Holinshed (1529-1580) with the first edition published in 1577, and this particular book at the Templeman Library published as the second edition in 1587 under the supervision of Holinshed’s successor, Abraham Fleming. Holinshed and his successor brought together works by authors that dominated the contemporary understanding of England’s and Scotland’s respective histories, such as Hector Boece whose ‘Scotorum Historiae’ was translated and used in the ‘Historie of Scotland’ section for Holinshed’s book along with works by other authors on Scotland’s history. The first obvious feature of the book is that it is very large, measuring 36cm x 23cm x 8cm. The size suggests that this book was not designed to be an easily portable book but was most likely intended for personal educational use as part of someone’s collection. The use of English translations instead of Latin suggests that the intent of the book was primarily educational, bringing about greater awareness of the ancient origins and histories of the British Isles by using a more widely understood language. Furthermore, as paper was an expensive material to use in the sixteenth-century, the impressive size of the book and its pages also implies that the book was materially valuable to its owner as well as an important educational resource. Evidence of intricate gold-leaf patterns on the cover reinforces this argument that this book was produced with expense to impress. Evidence of elaborate gold-leaf decoration on the cover and binding of the book. Conversely, a surprising observation of this book is the lack of internal decoration with very few woodcuts used. The same few woodcuts are repetitively used, suggesting that although this book was impressive externally the expense was spared internally. 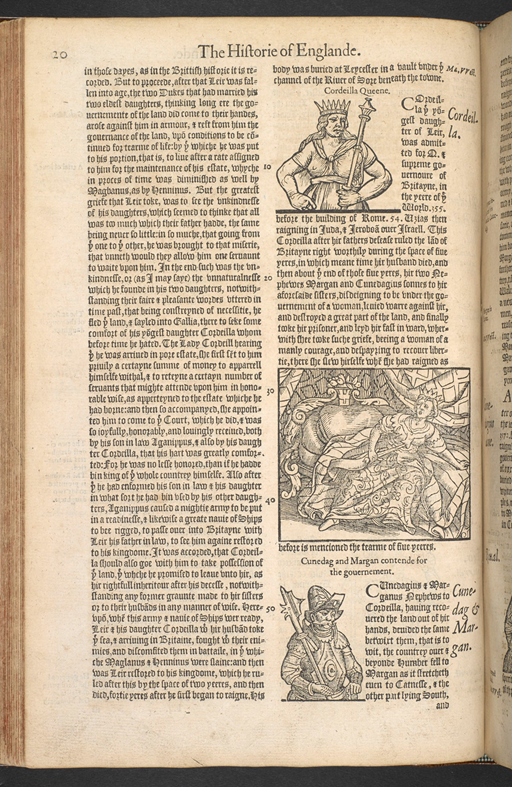 This contrasts with the 1577 edition of Holinshed’s Chronicles at the British Library which has many elaborate woodcuts depicting important monarchs and historical events that are not evident in the Templeman Library’s edition. The reason for this could be the lack of financial support behind the 1587 edition. After Holinshed’s death in 1580, his successors had difficulty establishing financial support for continuing with the new edition. Woodcuts were expensive additions to a book and were often reused instead of new ones being commissioned to keep costs down. This lack of financial means may explain the sparse use and recycling of a few styles of woodcuts in this copy of The Chronicles. Example of the recycling and inconsistent use of letter woodcuts in the 1587 edition of The Holinshed Chronicles. From studying the ‘Historie of Scotland’ section, it is interesting that the story of Gathelus and Scota is present followed by detailed descriptions of the early Scottish kings. This mythical tale of the origins of Scotland contrasts with the section on England’s history, where the tale of Brutus explains the ancient history of the British Isles by stating Brutus’ son Albanactus was the first king of Scotland. However, the Albanactus and Brutus tale does not appear in the Scottish history section, demonstrating one of the many contradictions which exist within the book. There is a general lack of public awareness of the Holinshed’s Chronicles despite its importance in detailing the history and mythology of the British Isles. However, the book remains a significant example of the emergence of a shared ‘British’ history and identity at the end of the sixteenth-century. The sixteenth century was a time of ‘British’ mythological history being used as propaganda in both England and Scotland, with competing national claims on ‘owning’ historical heroes. The inclusion of aspects of this mythological history in the collection suggests the importance of these stories in Scottish and English national identities and that Holinshed’s Chronicles allowed readers to explore these ‘histories’ in combination. The Chronicles was also published in the context of growing awareness in England that a Scottish king may inherit the English throne. This possibility first appeared with the marriage of James IV and Margaret Tudor in 1503 and persisted throughout the sixteenth-century, especially during Elizabeth I’s reign, possibly explaining why Holinshed decided to collate works on England and Scotland together in his first edition in 1577. By 1587, it was believed that James VI would inherit the English throne after Elizabeth, and so both kingdoms and their histories would become one. Perhaps the inclusion of both England and Scotland in this collection is therefore significant in showing the growing belief in the late sixteenth-century that the island of Britain as we know it today was becoming a shared space and that therefore a single collation of their histories was necessary. If so, this book is important in showing how these ideas of Britain were viewed at the time. To conclude, Holinshed’s Chronicles is an important book in illustrating how national histories and identities were perceived in the sixteenth-century. The decision to include both Scottish and English histories in one book demonstrates a broader thematic emergence of a shared British history and identity in the sixteenth-century which arose from the possibility of both realms falling under a single monarch. Therefore, this book as an object has wider significance for early British history than just what is written inside. Further analysis of this book should consider the reason why the elaborate woodcuts of 1577 do not appear in this edition; was it due to cost efficiencies or instead a consequence of the censorship which occurred in the late 1580s? Regardless of the lack of woodcuts, this copy of Holinshed’s Chronicles is a beautiful example of sixteenth-century literature which deserves wider awareness amongst the British public. 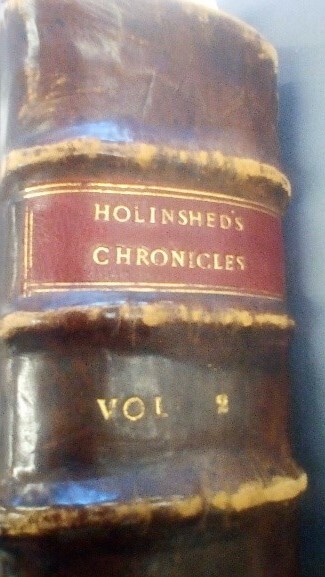 The copies of Holinshed’s Chronicles held in Special Collections & Archives are on loan to us via the Marlowe Society. Clegg, Cyndia Susan; ‘Raphael Holinshed’, Oxford Dictionary of National Biography, Available from: http://www.oxforddnb.com/view/10.1093/ref:odnb/9780198614128.001.0001/odnb-9780198614128-e-13505#odnb-9780198614128-e-13505-div1-d196067e361 [Accessed 22/10/2018]. Early English Books Online, Available at: https://eebo.chadwyck.com/search [Accessed 19/10/2018]. Frenee, Samantha; ‘Warrior Queens in Holinshed’s Chronicles’, Journal of Medieval and Humanist Studies, 23(1) (2012) [Online] Available at: https://journals.openedition.org/crm/12859?lang=en [Accessed 25/10/2018]. Holinshed, Raphael; Wolfe, Reyner; Stanihurst, Richard; Harrison, William; and Campion, Edmund; Holinshed’s Chronicles: The Firste Volume of the Chronicles of England, Scotlande, and Irelande, The British Library, (1577) Available from: https://www.bl.uk/collection-items/holinsheds-chronicles-1577 [Accessed 23/10/2018]. 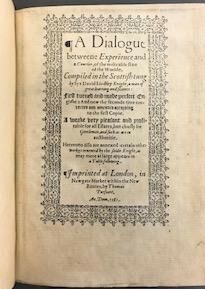 Holinshed, Raphael, et al; Holinshed Chronicles: The First and Second Volumes of Chronicles, The University of Kent Special Collections, (1587). Kastan, David Scott; and Pratt, Aaron T; ‘Printers, Publishers, and the Chronicles as Artefact’, In: The Oxford Handbook of Holinshed’s Chronicles, Eds. : Felicity Heal, Ian W. Archer, and Paulina Kewes, (2013) Available from; http://www.oxfordhandbooks.com.chain.kent.ac.uk/view/10.1093/oxfordhb/9780199565757.001.0001/oxfordhb-9780199565757-e-2 [Accessed 25/10/2018] pp.1-27. Mason, Roger; ‘Scotland’, In: The Oxford Handbook of Holinshed’s Chronicles, Eds. : Felicity Heal, Ian W. Archer, and Paulina Kewes, (2013) Available from: http://www.oxfordhandbooks.com.chain.kent.ac.uk/view/10.1093/oxfordhb/9780199565757.001.0001/oxfordhb-9780199565757-e-38 [Accessed 25/10/2018] pp.1-18. Royan, Nicola; ‘Hector Boece’, Oxford Dictionary of National Biography, Available from: http://www.oxforddnb.com/view/10.1093/ref:odnb/9780198614128.001.0001/odnb-9780198614128-e-2760?rskey=J0aiDe&result=1 [Accessed 24/10/2018]. Schwyzer, Philip; ‘Archipelagic History’, In: The Oxford Handbook of Holinshed’s Chronicles, Eds. : Felicity Heal, Ian W. Archer, and Paulina Kewes, (2013) Available from: http://www.oxfordhandbooks.com.chain.kent.ac.uk/view/10.1093/oxfordhb/9780199565757.001.0001/oxfordhb-9780199565757-e-35 [Accessed 25/10/2018] pp.1-18. The Holinshed Project, Available from: http://www.cems.ox.ac.uk/holinshed/ [Accessed 20/10/2018]. University of Kent Special Collections Website, Available from: https://www.kent.ac.uk/library/specialcollections/ [Accessed 26/10/2018]. I don’t know about you, dear readers, but the end of the year has crept up on us remarkably stealthily! 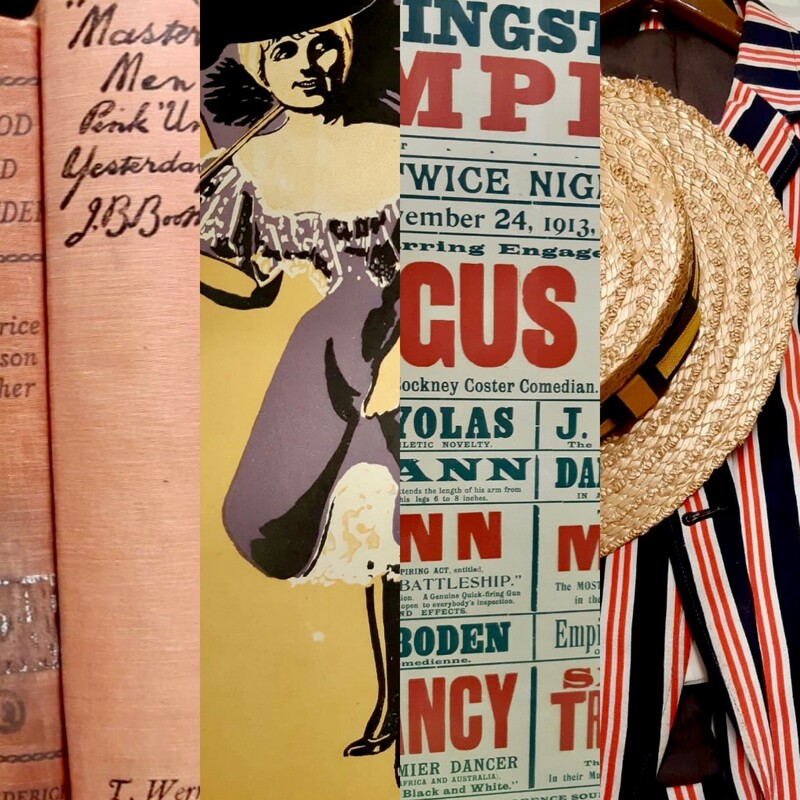 (Although all the Christmas decorations and festive events around campus may argue otherwise…) With that in mind, we thought we’d take a look back at 2018 and share with you our particular highlights – work you may know about, projects you may not, or collections that are waiting for you to explore them. Karen (Special Collections & Archives Manager): “2018 has been a fantastic year for Special Collections and Archives. In February we welcomed our new University Archivist, Tom, who began work almost immediately on the fabulous “Our Templeman” Exhibition. The exhibition was created to celebrate the completion of the library extension and refurbishment as well as 50 years since the Templeman Library first opened its doors. In March we had a party! 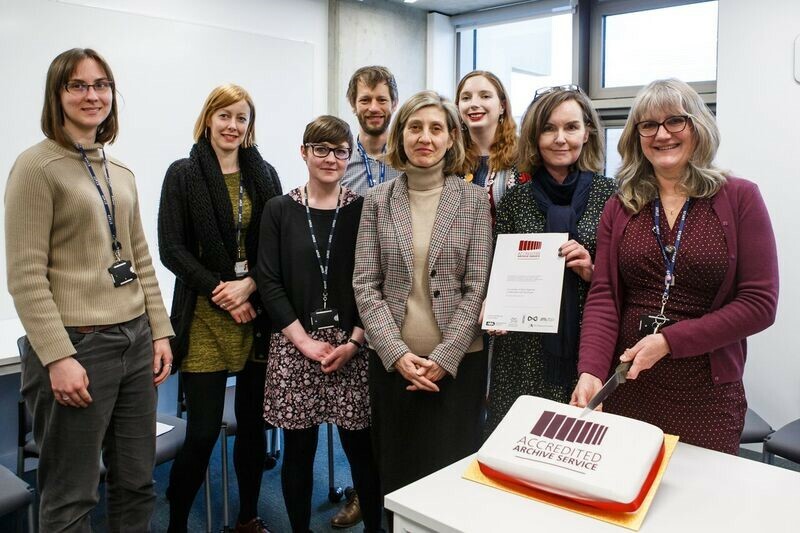 We were very excited and proud to receive the National Archives Accreditation Award – and of course like all good parties we had a cake. In the summer we were lucky to be able to recruit two Bursary funded Interns. 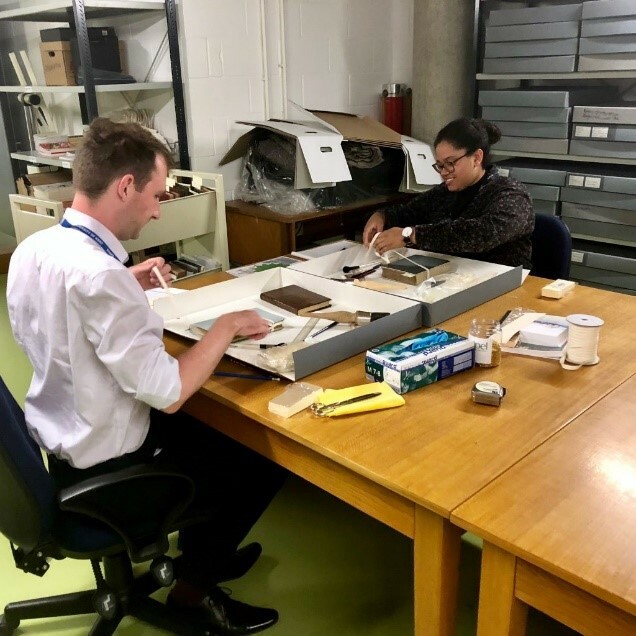 Janee and Philip spent the summer working on the Maddison collection and revealed some interesting discoveries from this science collection through a series of blog posts and pop-up sessions. 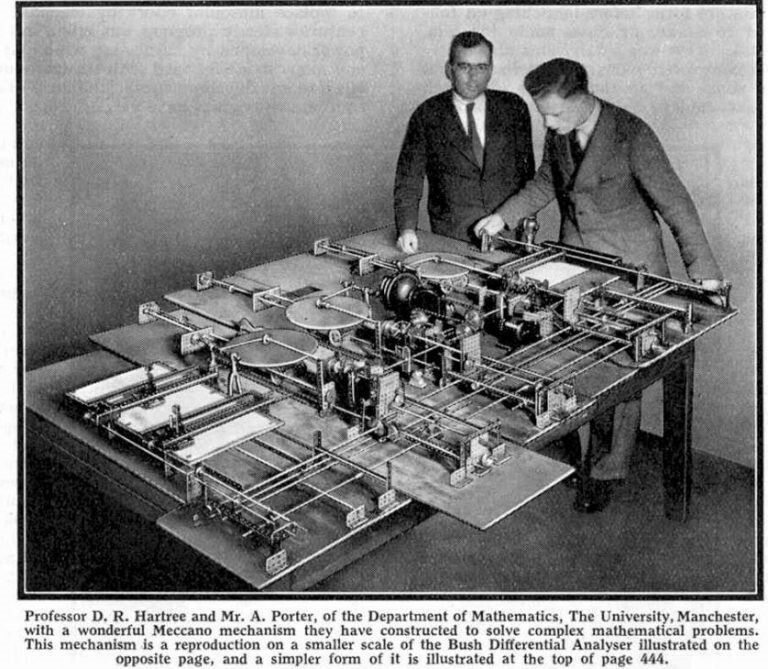 Tom Ritchie needed a venue to demonstrate a Meccano based reconstruction. SC&A were happy to play host to Tom and the Meccano Men (they are real people!). We eagerly watched as the Differential Analyser was constructed and then opened the doors to a whole host of diverse people who were interested to see how meccano played an important role in the development of computers. What do you get when you cross archives and toys? Your Christmas starter for ten: what links all these items? Helen (Library Assistant, Curation & Metadata): “The ‘Prescriptions’ exhibition of artists’ books, on wellbeing and medicine, took place at the Beaney House of Art and Knowledge in 2016. Books by 82 artists, from 15 countries exhibited their work and many of them subsequently donated or deposited their works at the University of Kent’s Special Collections and Archives. The books deal with topics including “cancer, chronic illness, disability, mental health, surgery, medicine and wellbeing” (Bolaki & Ciricaite, 2017). 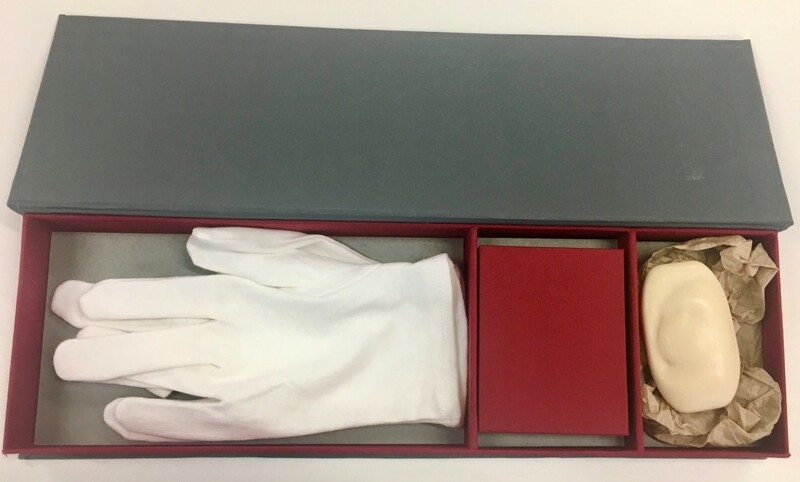 Rachel (Library Assistant, Curation & Metadata): “It’s been great to be part of a project to catalogue and digitise material from the Queen’s Own Buffs The Royal Kent Regiment Collection. It contains material from the Buffs (Royal East Kent Regiment) and the Queen’s Own Royal West Kent regiment who merged in the 1960s. 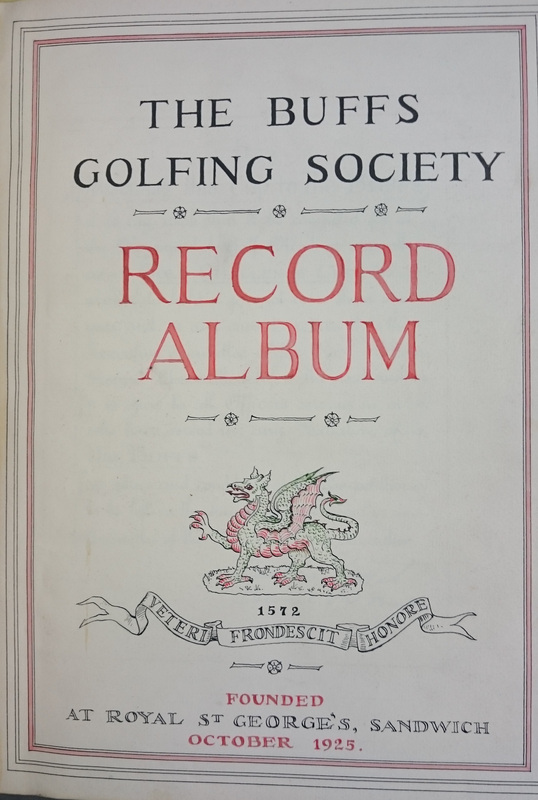 There’s a variety of material in the collection, ranging from prisoner of war accounts to the Buffs Golfing Society records, as well as plenty of books surrounding the history of the Buffs, who are one of the oldest regiments of the British Army, tracing their roots back to the 16th century. As part of my work I spent a lot of time with the Dragon and the Queen’s Own Gazette, the regimental journals of the two regiments. They’re full of information on the history of the regiments, as well as plenty of reports of their leisure time, giving a fantastically detailed picture of life in these regiments from the late 19th century onwards. In the Spring Term, we revamped our sessions to support a final year English course where students write and self-publish their own book. In previous years, groups have come in to look at modern poetry exclusively – but this year we pushed things a bit beyond that. One Reading Room table focused on a history of print from the early modern period to the present day – spanning everything from rare books to playbills and zines. The other table was split into modern poetry on one section and artists books on the other. 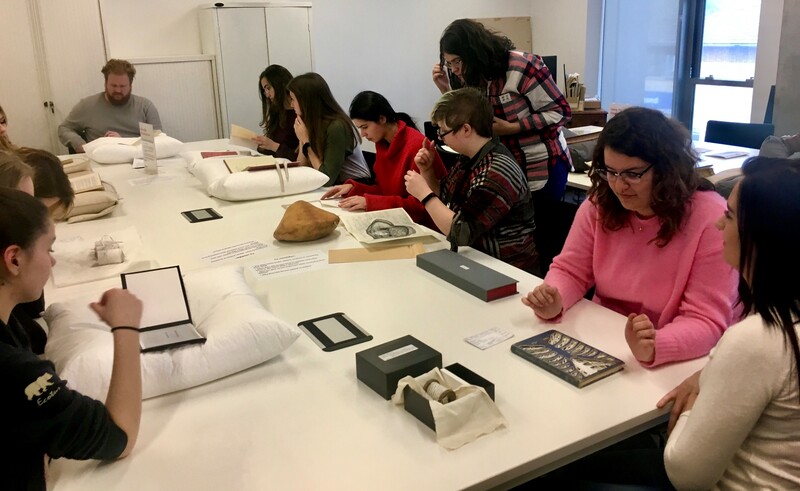 By looking at the history of print material first, students were then able to see how contemporary works play on printing traditions – and it worked so well, we could barely get them to leave after three hours! 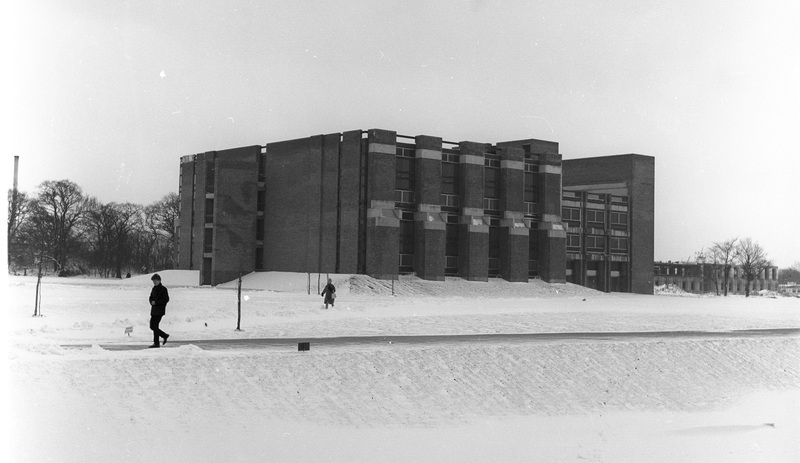 Templeman Time-machine: spot the difference! Elspeth (Digital Archivist): “I’ve loved having the opportunity to explore two oral history collections from Special Collections & Archives through digitisation and cataloguing. The collections comprise unique, original oral history recordings, which are not archived in any other institution or heritage centre. They were recorded on reel-to-reel tapes, now an obsolete format, in the late 1960s and 1970s, so it is fantastic that we were able to have these digitised to ensure that the testimonies included on them are preserved and able to be made accessible. The first of the two oral history collections, The Barker Oral History Tapes collection, comprises interviews with c. 100 people in Kent recorded in the late 1960s. The interviews were part of an oral history project, funded by the ESRC, directed by Professor Theo Barker (founding professor of Economic and Social History at the University of Kent in 1964) and John Whyman (Lecturer in Economic and Social History and Master of Rutherford 1996-1997), who were interviewing older respondents for their memories of life in Kent before 1900. Barker was an early supporter of oral history as a research methodology, and he became the Oral History Society’s first Chairman in 1973. The second collection is the Winstanley Oral History Collection. This collection comprises interviews with over 160 people in Kent (mainly east Kent), recorded between 1974 and 1976. The recordings were undertaken as part of an SSRC-funded oral history project (called ‘Everyday Life in Kent before 1914’), looking at life in Kent at the turn of the 20th century. What’s been your highlight of 2018? Let us know below! We’d like to wish all of our readers a very Merry Christmas and a Happy New Year! Our Reading Room is closed from the 19th December 2018 and will reopen on January 14th 2019. This slightly longer-than-normal closure period allows us a week to develop our collections, so we’ll be spending 5 days in January working on exciting projects in our storage areas!